Gone are days of using big bulky looking shelves to store books. 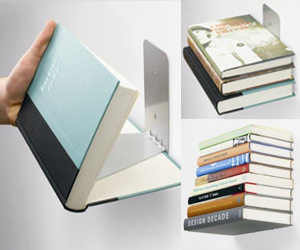 Checkout (almost) invisible shelf for your books. It screws into wall and can handle 15 pounds of weight.